Type: Residential, silent, insight meditation retreat. Meals: Meals will be provided and prepared by Keelin Schaffrath. Accommodations will be made for any dietary restrictions you have. You will have the opportunity to note these in the registration form. $100 – I am unable to pay more. $120 – I can pay the real cost of the retreat. $140 – I can financially assist those who cannot pay more. $140 – I am unable to pay more. $200 – I can pay the real cost of the retreat. $260 – I can financially assist those who cannot pay more. Note, $25 of the payment is a non-refundable deposit. Please register as soon as possible as space is limited. Registration closes Friday, 7/13/18. Cancellation Policy: If for some reason you need to cancel your registration for the retreat, please inform the registrar Jeff Sheen as soon as possible at cvsangha@gmail.com Please note that once we are within seven days of the retreat start day we may not be able to provide a full or even partial refund as our commitment to food costs and lodging need to be covered and will have been based on your expected participation. We will always work with individuals who are experiencing extenuating circumstances (e.g., death in the family, etc.) in the spirit of generosity. Please be mindful of the planning efforts that go into hosting a retreat as you make the decision to register and/or cancel your registration. Dana: Dana is a Pali word meaning generosity. In keeping with Buddhist tradition, our teachers offer the teachings freely. They are able to do this because students before you have sustained them through generosity (donations). At the end of the retreat, you will have an opportunity to give Dana so that others may also receive the teachings. There is no expected amount, but you are encouraged to give generously to the extent that you are able. 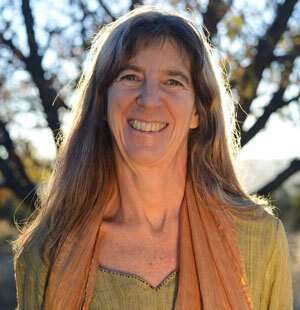 Susie Harrington teaches meditation nationwide and is the guiding teacher for Desert Dharma, which serves many communities in the Southwest near her home in Moab, Utah. She has trained in the Insight tradition since 1989, and in 2005 was invited into teaching by Jack Kornfield, Joseph Goldstein, and Guy Armstrong. She has also received teachings from many others, including Tory Capron, Adyashanti, and Tsoknyi Rinpoche. She often offers retreats outside, believing nature to be a profound teacher, and a gateway to our true self. Her teaching is deeply grounded in the body and often emphasizes the expression of mindfulness in speech and daily life. 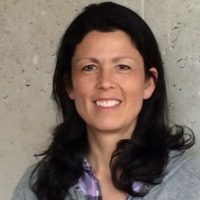 Susie brings the skills of inquiry, relational dharma, and the psychological/spiritual interface to her teaching, informed by her ongoing study of the Diamond Approach by A.H. Almaas and as a graduate of Hakomi Therapy (a somatic psychotherapy modality). She offers a two-year intensive program, Dharma in Daily Life, where she delights in mentoring the innate qualities of heart and wisdom in everyday practice. Her practice is rooted in periods of long retreat both indoors and outdoors, which offer nourishment and inspiration for her teaching. She was an outdoor professional for over 30 years, including years as a river guide, mountaineering guide, and backcountry ranger, and now finds her greatest delight in sharing her love of the dharma and the natural world. Registration is open to the 2019 winter retreat that will happen January 4-6. 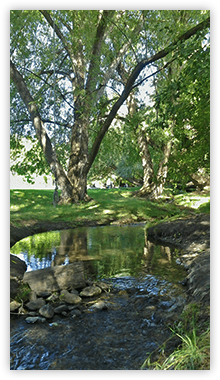 It will be a three day, non-residential, silent retreat with Susie Harrington, to take place at the Bear River Charter School, 75 S 400 W, in Logan, UT. Registration is done entirely online. Registration fees cover the operating expense of the retreat (e.g., building rental, travel expenses of the teacher). Dana for the teacher is extra. Participants must pay in advance. All are welcome! --Please register as soon as possible, space is limited and registration closes December 29th, 2018. Registration is open for the 2018 insight meditation summer retreat in Paradise, Utah, which will take place from July 27th to July 29th (3-day option) or Aug 1st (6-day option). This will be a residential, silent meditation retreat with Susie Harrington in an outdoor setting. Lodging will be either camping or in bunk houses, and sitting meditations will take place under a large shade tree. All are welcome! Please register as soon as possible as space is limited. Registration closes July 13th. Click for more information! Project by Dhanna. Adapted Velocity Inc. template. Made in Webflow.